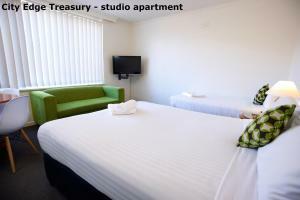 Walking distance to rod Laver Arena and city cbd. Free parking on site. Location! And free parking. These were the main points for us. Also, even though there was no stovetop, they provided us with a electric pan, which sufficed our needs. Rooms are large and spacious. The location was good the kitchen and bathroom where nice. room is clean. toilet is nice. kitchen is good to use. good facilities provided. Close to major sporting arenas. The young male on reception was very friendly. This was our second stay at these apartments, we have found the location amazing, beds comfortable and handy for our needs. They are older facilities but meet main needs. We are likely to use again if a need comes up. 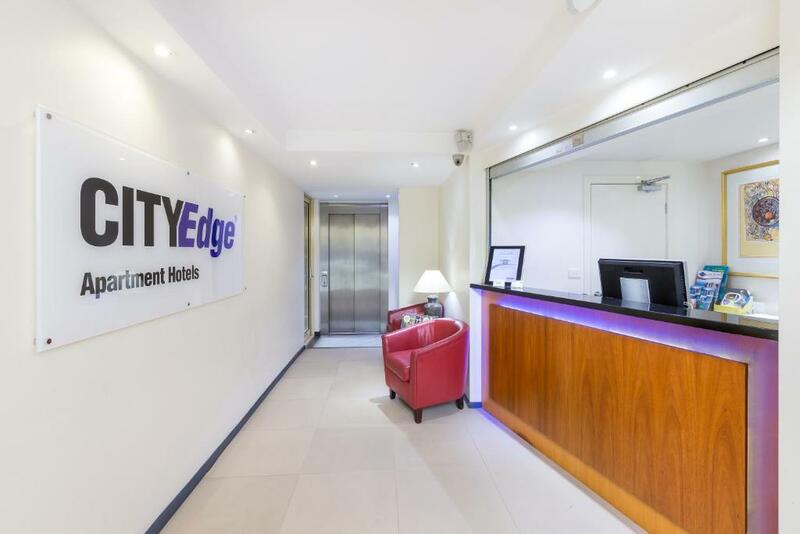 City Edge East Melbourne Apartment Hotel This rating is a reflection of how the property compares to the industry standard when it comes to price, facilities and services available. It's based on a self-evaluation by the property. Use this rating to help choose your stay! 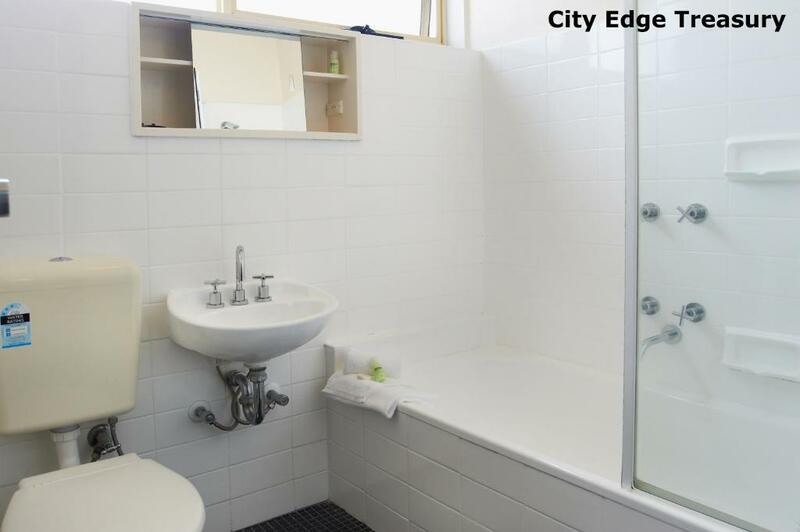 City Edge Apartment Hotels - East Melbourne offer fully furnished apartment-style accommodations in 3 different East Melbourne locations. All are within walking distance to the MCG and North Richmond Train Station. 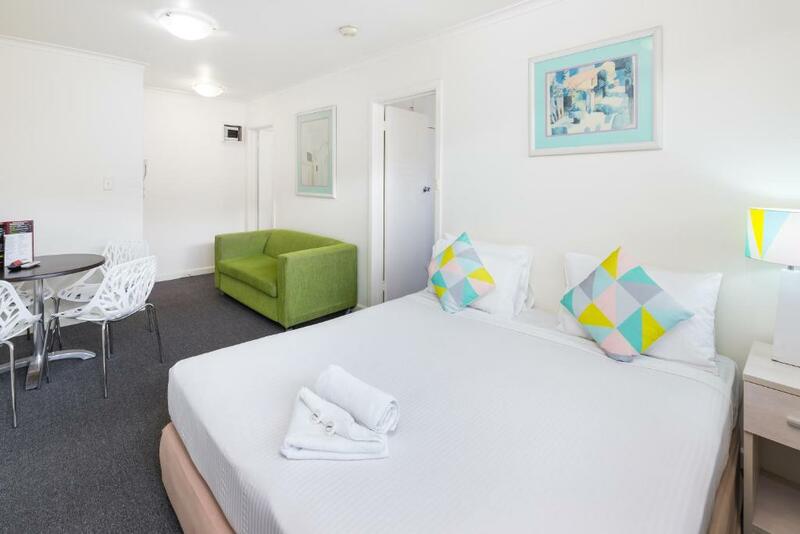 East Melbourne City Edge Apartment Hotels are located near the Jolimont Train Station and Melbourne Tennis Center. It is 1.9 mi from Rod Laver Arena. When would you like to stay at City Edge East Melbourne Apartment Hotel? The apartment has a full kitchen, a private bathroom and a lounge and dining area. Free WiFi is included. This apartment features a flat-screen TV and kitchen with full cooking facilities. Free WiFi is included. This Two-Bedroom Apartment features a flat-screen TV and kitchen with full cooking facilities. Free WiFi is included. 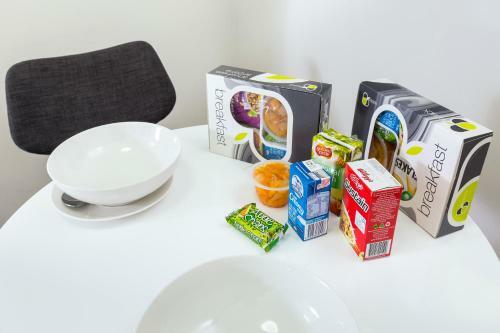 The apartment has a kitchenette and an open-plan lounge and dining area. Free WiFi is included. 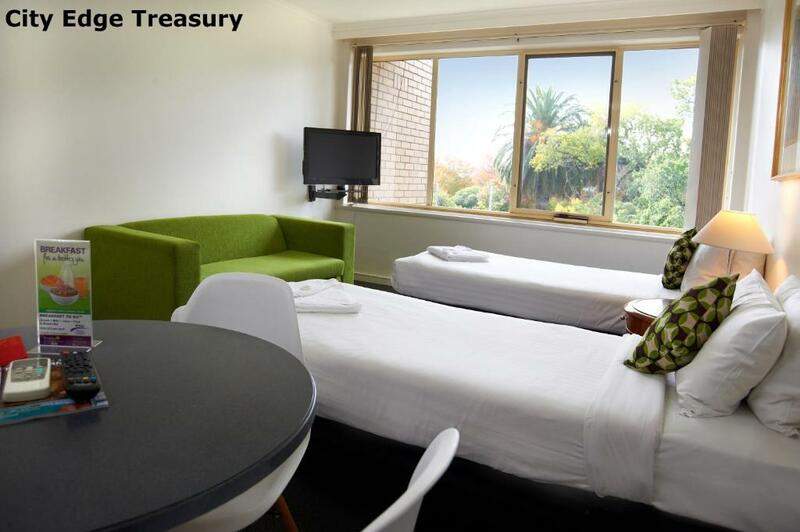 A member of the City Edge hotels in East Melbourne, City Edge Treasury enjoys a high rate of return by business and leisure travellers alike. Adjacent to the Eastern side of the Melbourne CBD, City Edge Treasury offers East Melbourne accommodation in the form of studio and 2 bed family apartments for convenient short, medium or extended stays. The 2 bed family apartments have a king and double bed, whilst the studio apartments have a queen and single bed. House Rules City Edge East Melbourne Apartment Hotel takes special requests – add in the next step! 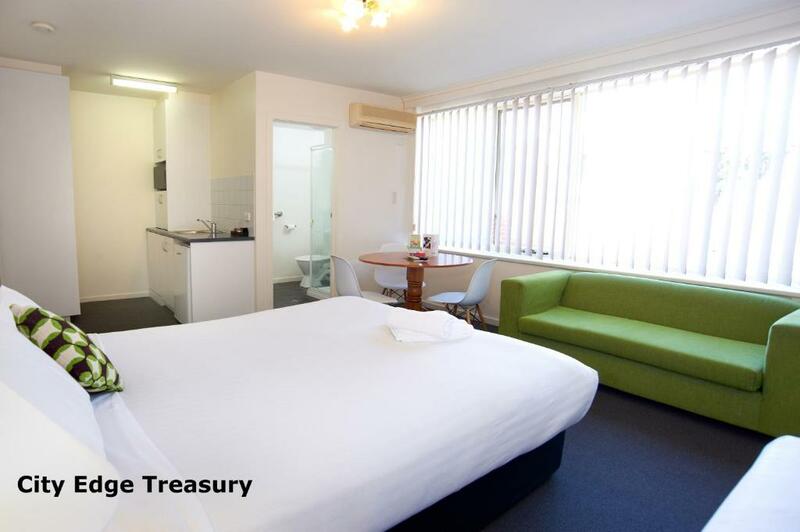 City Edge East Melbourne Apartment Hotel accepts these cards and reserves the right to temporarily hold an amount prior to arrival. Please note that City Edge Apartment Hotels - East Melbourne requires a AUD 100 credit card pre-authorization upon check in. Please note that daily servicing is available for AUD 15 per day. Please inform City Edge East Melbourne Apartment Hotel of your expected arrival time in advance. You can use the Special Requests box when booking, or contact the property directly using the contact details in your confirmation. Please note that check-in and key collection take place at: 179 Powlett Street, East Melbourne 3002. Great location in walking distance to MCG. Would recommend to families watching a AFL game. City Edge East Melbourne took (stole) extra money out of my account after an administrative error and are now refusing to refund it, on the premise that I wasn't provided with the admission of the error in writing. I was originally assured by two City Edge staff, one of which being the manager of the East Melbourne property, that I would be refunded. This has now been completely denied. I strongly advise against providing City Edge East Melbourne with any bank details. The apartment was filthy, stunk of cigarettes and very outdated. I would not take my family back again due to the cigarettes and lack of noise proofing. Also no remote for aircon in bedroom so it didn’t work. Limited parking. Cramped car area. Good location. Friendly and helpful staff. It was near the event and it was at a good price . Great location, easy easel into the city. Very limited car parking and tight. 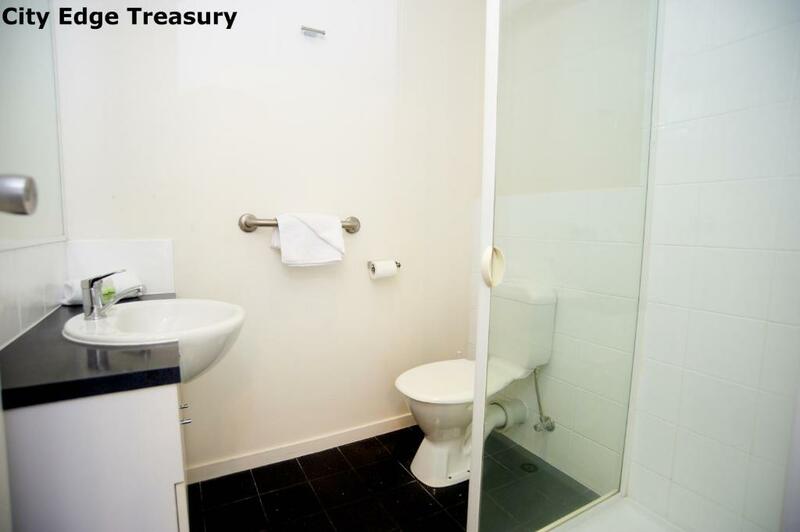 The apartment i rented was spacious and clean close to the MCG in a quiet part of East Melbourne. Have stayed here many times before whilst attending a footy game. Would recommend this for a family trip. Apartment wasn't really clean. Hairs in the shower/bathtub, fingerprints on mirror etc. Apart from that, everything was practical but not very cosy. Location to the CBD. Free Parking. The proximity to the MCG was pretty good. We went to the football for the evening. The parking was a little bit awkward to get to but the free parking was VERY MUCH APPRECIATED. It is so costly to park in the city and I felt it was a safe place to leave my car. The only other award item was checking in in one location and then travelling to another for the accommodation and we were only given one key. Two as an automatic issue for five people would have been better although we managed.